Academically speaking, I’m a pretty good student. I always make sure my scores are above 80. But never have I ever dreamt of scoring a perfect score in Math. This is probably because of the mental conditioning that a perfect Math score MIGHT not be possible because it is annoyingly easy to make silly mistakes. We carry this impression all through our lives and believe that getting a cent percent in Maths is impossible. Do you also feel the same way? I was of the same school of thought until I spoke to some of our toppers and discovered their secret formula to a flawless 170. YOU could score a perfect 170 in GRE Quant? You wouldn’t believe me. Of course. Would you believe me if I told you HOW? Maybe? Alright. GRE Math is a little different from high school math, not in terms of the concepts (which are pretty similar), but more in terms of their application. It tests your ability to interpret given data correctly and critically reason rather than just test your knowledge on formulae and concepts. Looking to make your GRE quant practice even more effective? Click on the link below to download a free eBook containing the strategies of someone who scored a perfect 170 in the Quantitative section., containing handy tricks to boost your accuracy and speed as well as useful GRE math formulas you absolutely need to know! Silly mistakes fall under this category. This is the main reason why most people fall short of the perfect score. You make these mistakes when you calculate something that is not required or not asked for because you didn’t understand the question correctly or you didn’t follow the method properly. For example, if the given question asks you to calculate x2 but you mark the answer as soon as you calculate the value of x. These are the kind of mistakes that occur when you aren’t clear with your concepts. It is commonly seen in students when they attempt questions on Geometry because they have trouble visualizing an object in a three-dimensional space. Alright, now that you know what GRE Quant contains and the mistakes you should be aware of, let’s look at some of the techniques we can utilise to overcome this, shall we? Since there are 20 questions in one GRE Quantitative Reasoning section and 35 minutes to answer, logically it follows that you can spend almost 2 minutes per question if you want to answer all of them. I know that 2 minutes sounds like an awfully short amount of time for solving full-fledged GRE math questions, but trust me, it is just sufficient if you are thorough with the concepts. In fact, try this question and time yourself. How much time did YOU take to arrive at the answer? 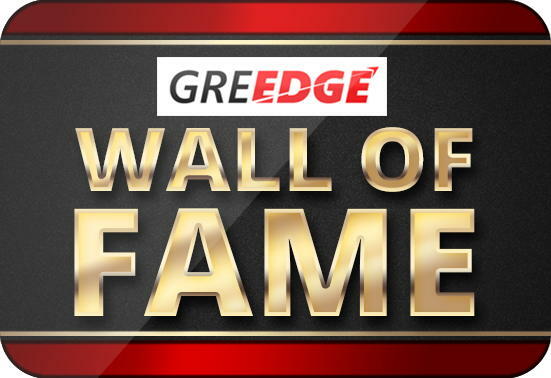 GREedge Pro Tip: For questions of a difficulty level of 4 and 5, you can spend up to 2 minutes on it. If you are taking longer than 2 minutes, take an intelligent guess, select a choice and mark it for verification so that you can come back to it later. Most of the answer choices for questions include those options that you would mark if you make some of the common silly mistakes. DON’T fall prey to them. They are designed to test how alert you are while giving the test. Calculating x and marking it as an answer while the question asks for x2 is a perfect example because one of the answer choices will carry the value of x as an option. Q. If x² + 6x = –9, how many values of x are possible? The two roots are equal and identical, but the “value” of x is only one i.e -3. But after factorizing, you can see that the two roots are identical and hence only one value of x is possible. The question here asks for “values” and not “roots”. You can save massive amounts of time by just substituting simple values in place of variables. This works especially well in quantitative comparison questions. Q. Compare quantities A & B and choose the correct option. Is A greater than B? Is A lesser than B? Is A equal to B? The answer to this question is option 2: A is lesser than B.
GREedge Pro Tip: Substitute numbers in place of equations because the solution required is not the answer to the equation but the comparison between the two. You can plug in different answer choices into appropriate parts of the question in an effort to work backwards. This tactic is especially useful if you want to bypass difficult calculations. Q. Find the radius of the cylinder when h = 3 cm and volume = 38 cm³. Therefore, r = [38/(3.14 x3)]½ is a long calculation and a waste of time. Instead, try backsolving! Plug in an answer into the formula and compare it to the given volume. TECHNIQUE #5: Tackle word problems one sentence at a time. Don’t be overwhelmed by the size of the word problem. These type of questions generally worry students because they have to understand the question in English and then convert the statements into mathematical equations. GREedge Pro Tip: Remember to Divide & Rule. Write down what is given and what needs to be solved separately. Use the given statements to form equations and you’ll be able to find what’s needed. Using given statement 2 → 5th test is for a total of 250 marks → Total marks = 400 + 250 = 650. Overall average before 5th test = 80%. After 5th test, overall average = 85%. Therefore, the boy’s score in the 5th test is 232.5 out of 250! Another reason why students lose out on a perfect score is because they glance at the graph and not analyse it thoroughly. Especially those that have multiple questions based on them. Take your time to understand what the graph represents. Read the title for a clear understanding of the graph. Units as required by the question. GREedge Pro Tip: Keep a note of the mistakes you make. You can also track it topic wise so that you know just where you need to focus. TECHNIQUE #7: Take as many timed, full-length tests as you can. The GRE lasts for 3 hours and 45 minutes. It is mentally challenging as well as physically taxing. But with the right amount of practice, you can train your mind to stay alert throughout. Most of our students say they don’t feel the time passing by and before they know it, the most important exam of their lives is over! Don’t let that happen to you. Pace yourself using timed tests. Start warming up for a perfect score today, with something just as effective as the official GRE quantitative reasoning practice questions! Remember to check your email for a confirmation mail. If you can’t find the mail in your inbox, be sure to check the Spam and other folders. Download the free GRE eBook on the Different Types of Quant questions, with solved examples and everything else you’ll be needing for that perfect 170! Comment and tell us what your problem areas are and we’ll tell you how you can overcome it! MS Dhoni: 7 Reasons We Love Him! its very useful in the last minute situations. I’m so glad you feel that way! All the very best for GRE and Masters! Can you provide a study plan to prepare GRE in a month? I have booked my slot on oct 25th. And I wanted to apply for Fall ’17. Good Luck! Looking forward to hearing from you soon! i wrote gre three months ago and scored 160 in quants. My main weaknesses as of i know is data interpretation(mostly of level four and five). my weakness in verbal is reading comprehensions.i really want to score a minimum of 165 in quants and 155 in verbal.can you provide a study plan for 30-45 days? Thanks for writing to us. GREedge specializes in providing a customized study plan for our students depending on their strengths and weaknesses, along with 2 personal trainers, one for Quant and one for Verbal. We would love to help you achieve your target scores within the time your have for your GRE date! Please drop in your details here: http://bit.ly/2eFCMOe and our student counselors will contact you at a time of your preference to discuss how we can help you with your GRE preparation. Do let me know if you have any doubts on any other topic. I’d be happy to help. in technique 5, isn’t a 5% increase of 80% = 84%? This is how we get 5 percent increase from 80% as 85%. Actually, I agree with Shehryar, it is not 5%, it is 5% points. One can get two different answers, but in the case you provided would have to assume a common incorrect interpretation of a percentage increase. would you please suggest me some books & important materials?? I have only 2 months for preparation. Can you provide a study plan to prepare GRE in 2 month? Hey bro do you have any tests portals? Any one having gre tests from any institute? Hey do you have any cheat sheet for quant? If yes please share me! How Should Engineers Prepare For GRE?